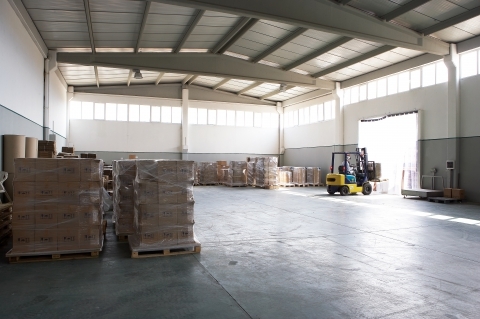 Since 1998, the Occupational Safety and Health Administration (OSHA) has mandated that all forklift operators in General Industry must be at least 18 years of age and must also have successfully completed a forklift safety certification program before they are allowed to operate a powered industrial lift truck – or forklift. The intent is to reduce the number of injuries and deaths that occur as a result of inadequate operator training. This standard applies to all industries (general industry, construction, shipyards, marine terminals, and long shoring operations) utilizing powered industrial lifts; the exception is agricultural operations. OSHA enacted its most current forklift training regulation – 29CFR1910.178(l) – in December, 1998, and began to enforce this standard through mandatory employer compliance in March, 1999. This same standard, with few changes, remains in effect today. Our company, Forklift Certs On-the-Go, has flexible, full-service forklift Operator Training Programs that will help your organization maintain full compliance with these OSHA requirements for training your forklift operators in the safe operation of your powered industrial lifts. Additionally, our training improves operator safety, productivity, and efficiency. One of the unique services we offer is that we will automatically notify your company a couple months prior to the (three-year) expiration date(s) of your operators’ certifications, thus allowing you to manage your training requirements more timely. As you know, these certifications are time-sensitive and do expire. You may also be interested in our supervisory skills training program, developed by Crown, for your line or warehouse supervisors. This four-hour course focuses on how to spot and correct forklift operator deficiencies in day-to-day operations, thus helping you to further promote forklift safety. Companies tell us that operators who sense that their employers are observing them tend to be more keenly aware of their performance and job hazards, thereby decreasing incidents from carelessness and complacency. Employers are also required to retrain workers whom they observe operating an aerial lift improperly, or who have been found to be unsafe during an evaluation. mandatory for operators of all Boom-Supported machines, fall protection is recommended whenever operating any elevated work platform. Neither 1926.451 or 1926.452(w) require employees to be tied-off when working from scissor lifts that have properly maintained guardrails. Scissor lifts, including those with platforms that extend beyond the equipment’s wheelbase, do not fall within any of these categories. Therefore, scissor lifts are not addressed by the aerial lift provisions of Subpart L. While there are no OSHA provisions that specifically address scissor lifts, they do meet the definition of a scaffold (1926.451 – general requirements for scaffolds). Employers must therefore comply with the other applicable provisions of Subpart L when using scissor lifts. For example, since scissor lifts are mobile, the specific requirements for mobile scaffolds in the scaffold standard (1926.452(w) – mobile scaffolds) must be met. We offer forklift driver training and certification that will empower your employees to stay safe. 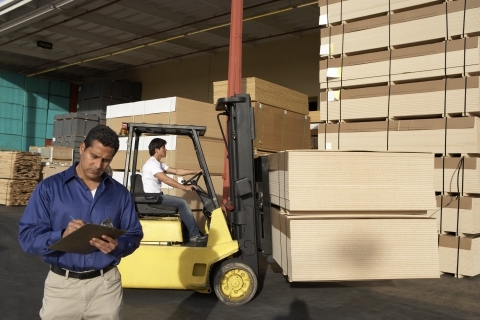 Each forklift training course is created with care and aligns with OSHA requirements. Contact us to learn about our forklift classes!